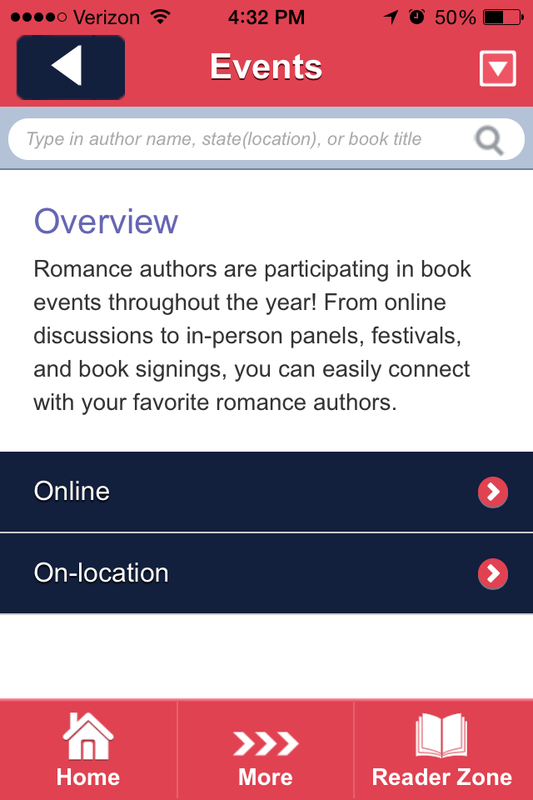 Did you know that RWA has put out an app designed specifically for romance book discovery and interaction with your favorite romance author? The news about the new app was released earlier this year but today was the first day I was actually able to find it in the app store. Novel Engagement is a free app that can be used on IOS (iPhone and iPad) and Android platforms (I still can’t find it in the playstore). 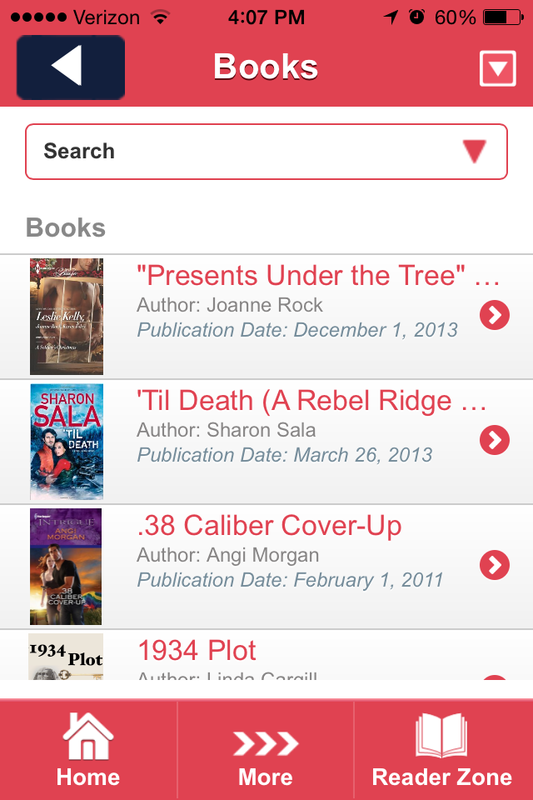 Browse for romance novels by book title, sub genre, keyword or publication date. Add books to different lists (to be read and read). Add stars to your favorites. Keep up with your favorite romance authors by following them. 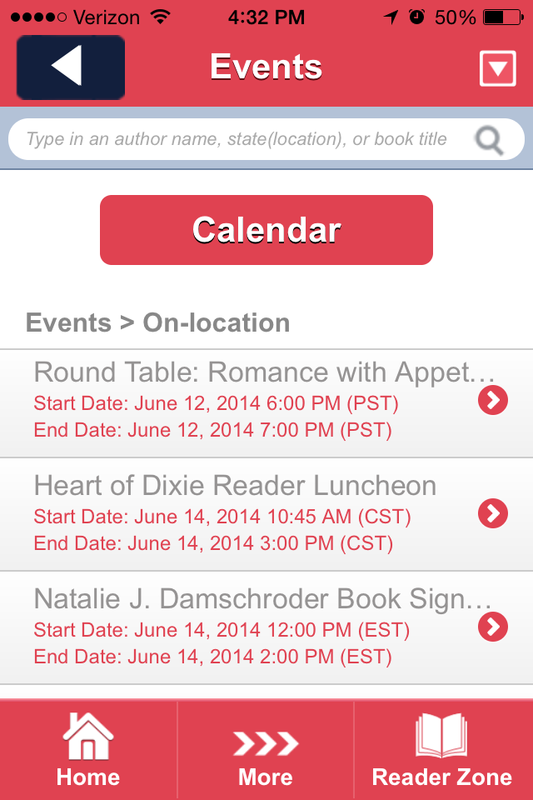 Get updates on your favorite authors in-app activities and events. I like it. It’s a place to finally find the books I’m looking for in the genre I’m looking for. No more digging through massive search lists trying to weed through other genres. It’s a lot like GoodReads but dedicated to the Romance genre. As of right now, there are times when the app runs smoothly and then there are times when it lags but it doesn’t hinder it’s use. I like the layout of the app. There is never a time where I’m confused about where to go to find what I’m looking for. It is very user friendly. The “Events” section alone has me claiming this as my new “go-to” book app. Being able to get current, accurate event info is not as easy as it should be on the internet and this new app will help save me hours of “internet time” searching for it. Right now, my only real negative thought about it is that it took awhile (a few weeks) to find it in the app store. The news coverage on when it was actually available to purchase was very vague and confusing. Also, I still can’t find any evidence of it available for Android products. It says it is but there is nothing coming up in my Google searches for “Novel Engagement for Android” and I can not find it on the app store on my personal android devices. Let’s take a moment to walk through the app together. Once I was able to purchase and download the app (the iPhone version) I was asked to sign up which took about 1-2 minutes. The Home Screen has three options at the top (Books, Authors and Events) with a scrollable screen at the bottom that lists the current Featured Books. There is also three buttons at the bottom of the screen at all times (Home, More and Reader Zone). Books is where you can discover new romance books you didn’t know about or search for romance books you’ve already heard of. When you click on a book that you want to know more about, it will take you the books home page where it lists the books information and description along with a list of other books written by the author. From this same window you can “star” the book if it’s one of your favorites, buy it, set a reminder if it is still upcoming or find out the authors events and contests. There’s even a place to view video, text and audio excerpts if it’s available. At the top right hand corner is the share button that allows you to share this page on your Twitter, Facebook, Google+ and Pinterest accounts. 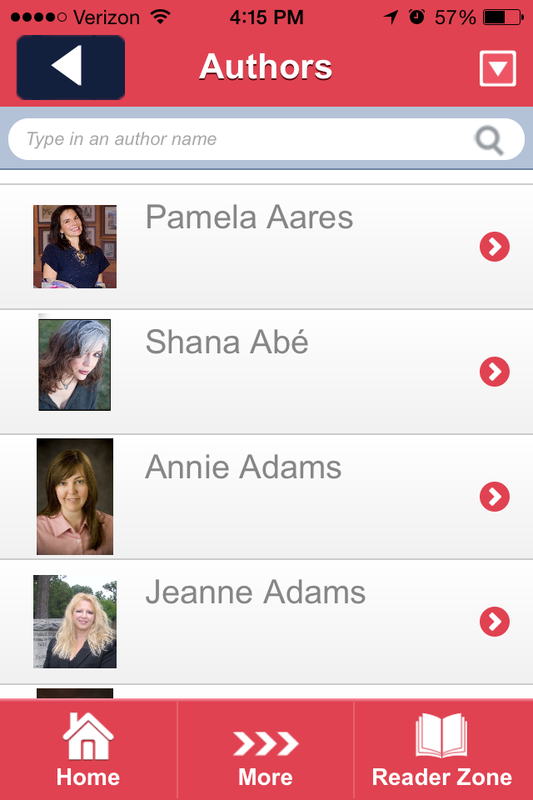 Authors is where you can discover new romance authors or find your favorites. The key to this section is that the authors need to have created a profile for themselves on this app. If they haven’t done this, you will not find them on here. When you click on an author it will bring you to their profile page where you can read their bio, get access to their social media accounts they have listed, and check their list of books they have published. You can also sign up to follow them, get their newsletter, or be notified of any events, contests, or trivia they have. Don’t forget to add a star to them if they are one of your favorites. 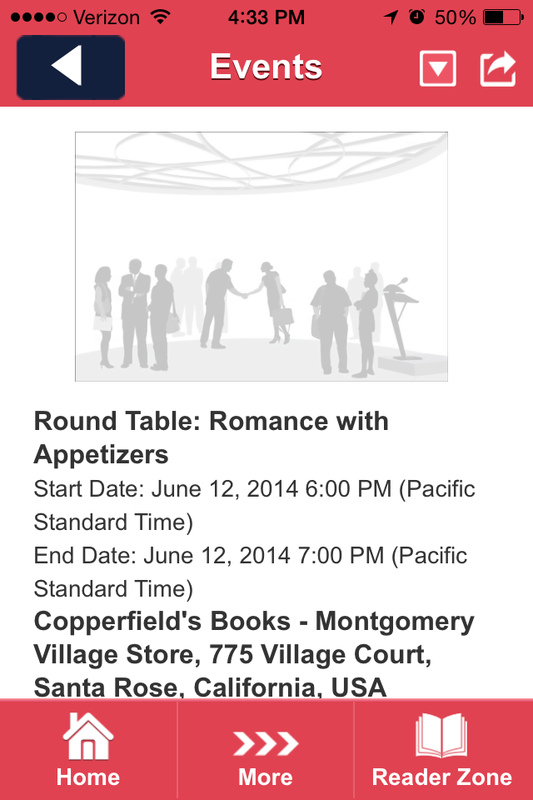 Events is where you can go to find out which Romance authors are participating in online discussions, in-person panels, festivals and book signings. You can choose to see online events or on-location events. 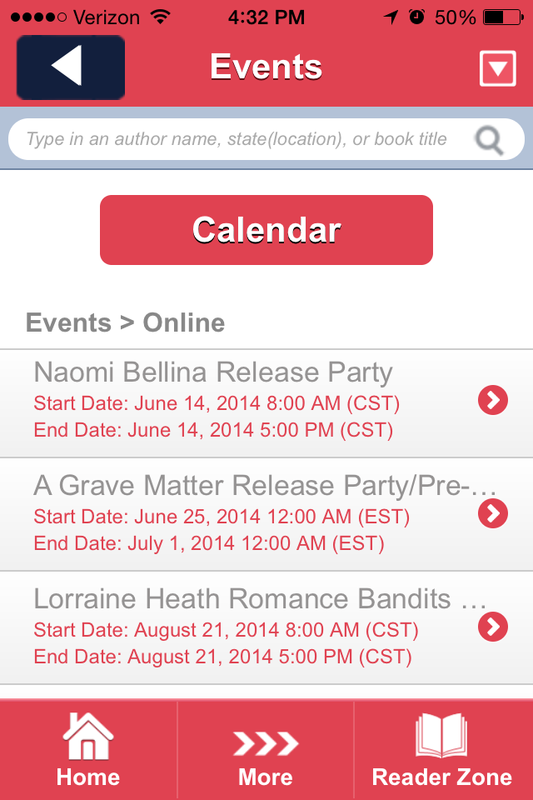 When you click “on-line” there will be a list of events with the start and end date. However, it isn’t the whole list of online events for the year. I don’t know why. If you click on the calendar you can scroll through the months and see the full list of online events for that year. When you click the “On-Location” tab you get the exact same thing except every event listed here is something you can go to in person. If you find an event you want to share, just click the share button on the top right hand corner and you can share it on your Twitter, Facebook, Google+ and Pinterest accounts. 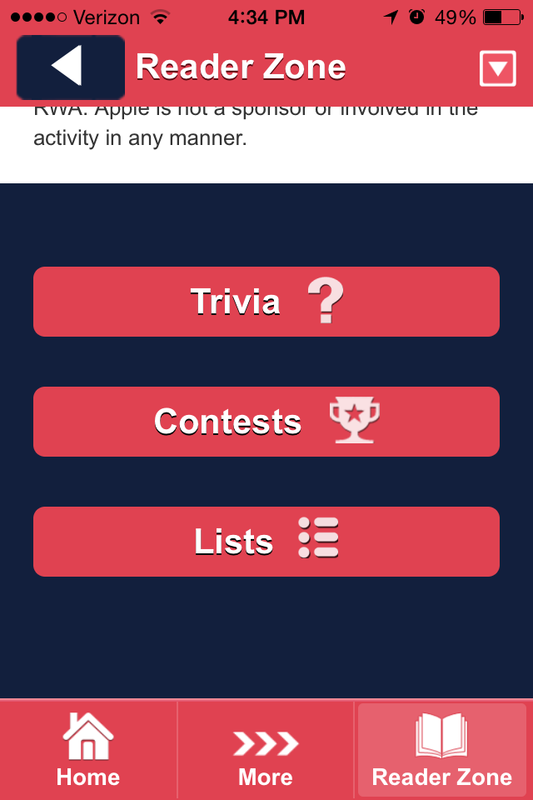 In the Reader Zone you can answer trivia questions, participate in contests and create the following 3 lists: Favorites, To Be Read and Read. I hope you take the time to check out this app for yourself. It really is worth the time and it’s free! 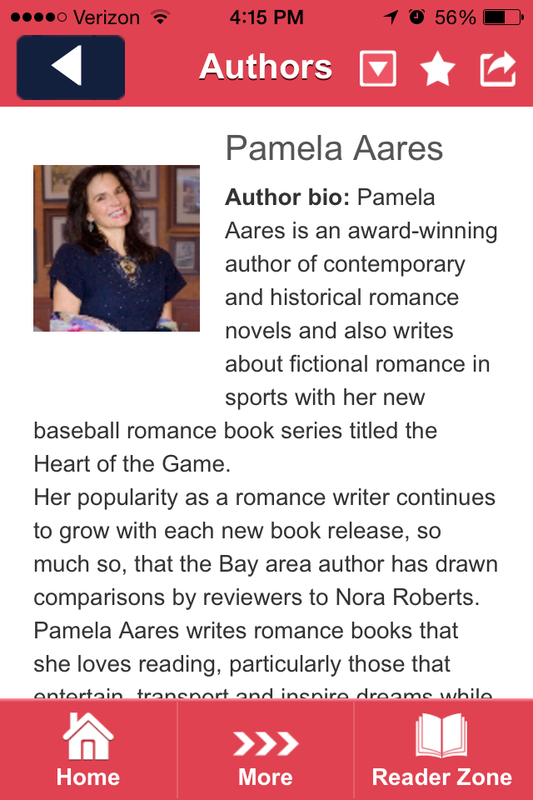 This entry was posted in Writing Apps and tagged Android, Darla G. Denton, IOS, Novel Engagement, Romance Book App, Romance Writers of America, RWA. Bookmark the permalink. This sounds like a great idea, I don’t have a smart phone, but for those that did it seems like an interactive way to find new books!